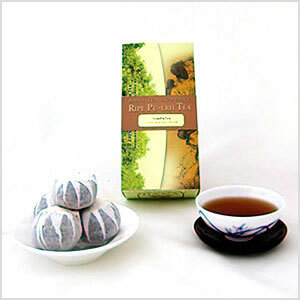 Vintage of the Ripe Pu-erh is 2011. Green Mandarin vintage is 2015. "Ganpu tea" means ripe Pu-erh stuffed in the peel (dried shell) of a Mandarin. The quality of this type of tea is judged by the quality of the peel. The best and the most prized Mandarins come from Xinhui, Guangdong Province in Southern China. The peel of the Mandarins from Xinhui is believed to have health efficacy and that the older the peel, the higher its value. Like Pu-erh tea, there are many counterfeit Ganpu teas that use similar fruits from other regions. There are two different types of Mandarins used for Ganpu: small Green Mandarins and larger Red Mandarin. This tea is made with small Green Mandarins selected from a farm in Xinhui that is co-owned by Master Vesper Chan, thus providing an assurance of authenticity. Completely hand-crafted, the Green Mandarins are sun-dried after they have been cored. Then they are stuffed with ripe Pu-erh, dried again in a dryer. Finally, each mandarin is artfully wrapped in paper. 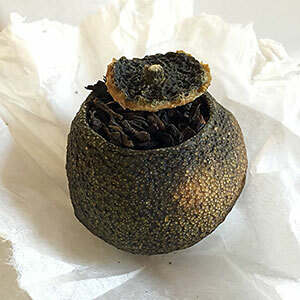 The beauty of stuffing ripe Pu-erh into a dried Green Mandarin is to allow the mellow and earthy flavor of ripe Pu-erh to pick up and absorb the tangy citrus flavor from the Mandarin peel. A perfect pairing, this tea is sweet and tangy. The fragrance from the peel is simply intoxicating. When served hot, it is warming; when served iced, it is refreshing and zesty. 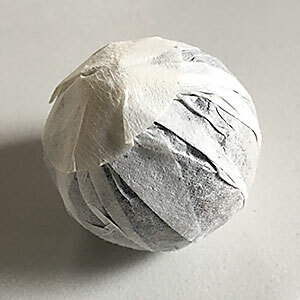 Unwrap a Green Mandarin Ripe Pu-erh and crack open by pressing with both thumbs. Remove half of the tea leaves and break off a few small pieces of the peel and steep together. The amount of peels used depends on your taste preference. Rinse the leaves and the peel with boiling water (212 degree F) and discard the rinse water. Start steeping according to the recommended times below. thanks to the excellent quality and flavors offered by Bana Tea Company, I have finally become a true fan of Puer teas - I drink them everyday now! Our responseThank you for your glowing review and your kind words about Bana Tea. I appreciate it.